Komponist (1798-1876). "Das Mädchen". 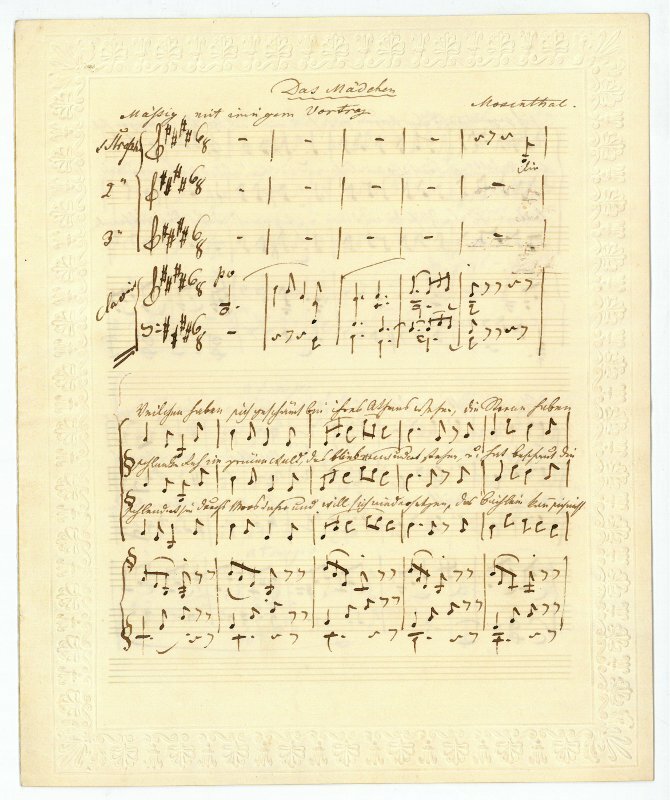 Autograph musical manuscript signed ("Dessauer") and dedicated. Wien. 4 SS. auf Doppelblatt. 4to. 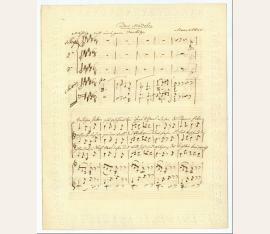 A clean copy of his lied after words by Salomon Hermann von Mosenthal, with underlined text. - Dessauer was a friend of many composers of his time, such as Gioachino Rossini, Franz Schubert, Hector Berlioz, Felix Mendelssohn, Franz Liszt and Frédéric Chopin, who dedicated some pieces to him.